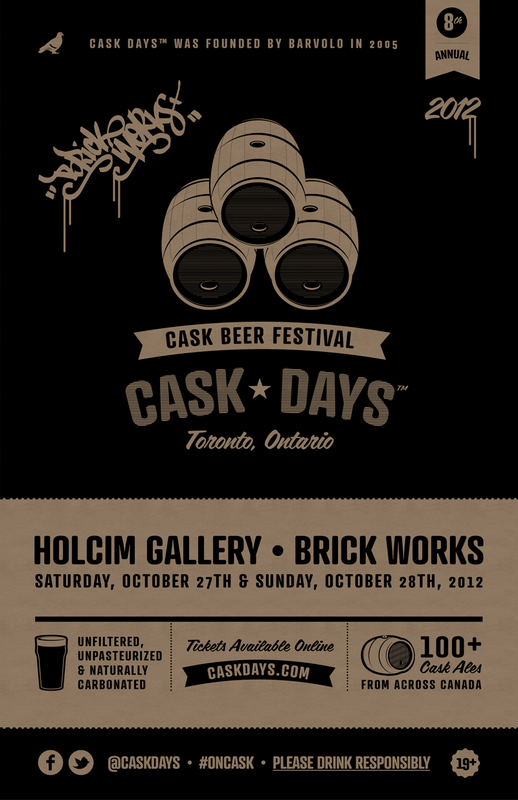 Cask Days 2012 is fast approaching. This years Cask-Conditioned Craft Beer Festival in Toronto, Ontario that will take place on Saturday, October 27th and Sunday, October 28th 2012 at a new venue, Evergreen Brickworks, a dynamic public space in the heart of Toronto’s Don Valley. Being the only festival of its kind in the country, they have announced a delightful list of confirmed breweries representing the best of the best, from coast to coast. Cask Days was founded by barVolo in 2005 and has remained family run for the last eight years. Their aim this year is to give you a unique beer festival experience that celebrates not only local craft beer but local food, art and music.